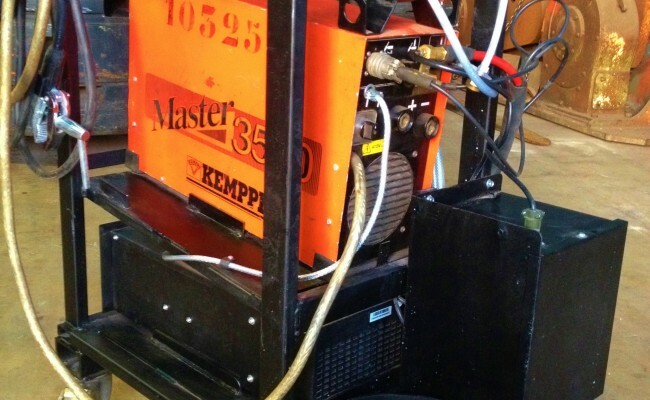 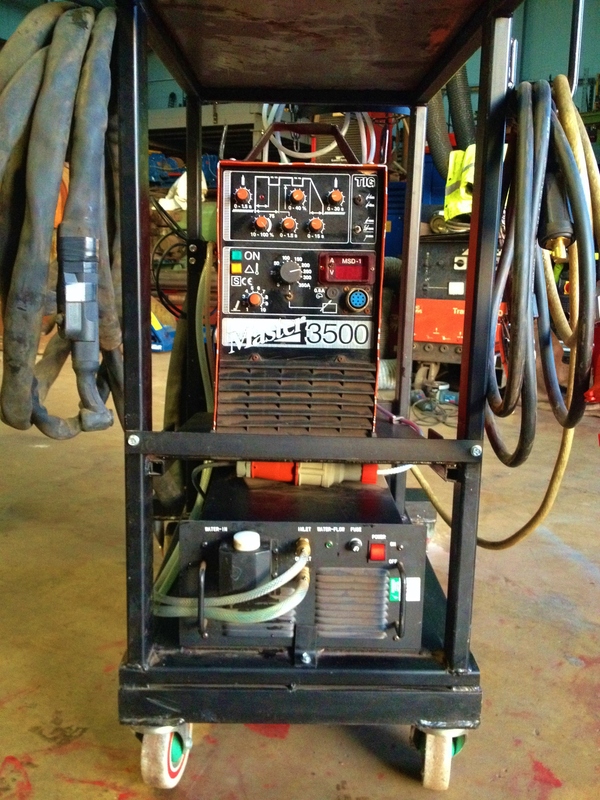 This is one of our Kemppi Master 3500 water cooled TIG welding machines, fitted with an 8 meter WF 18 Flexi torch, earth and regulator. 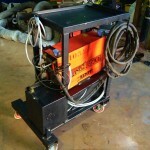 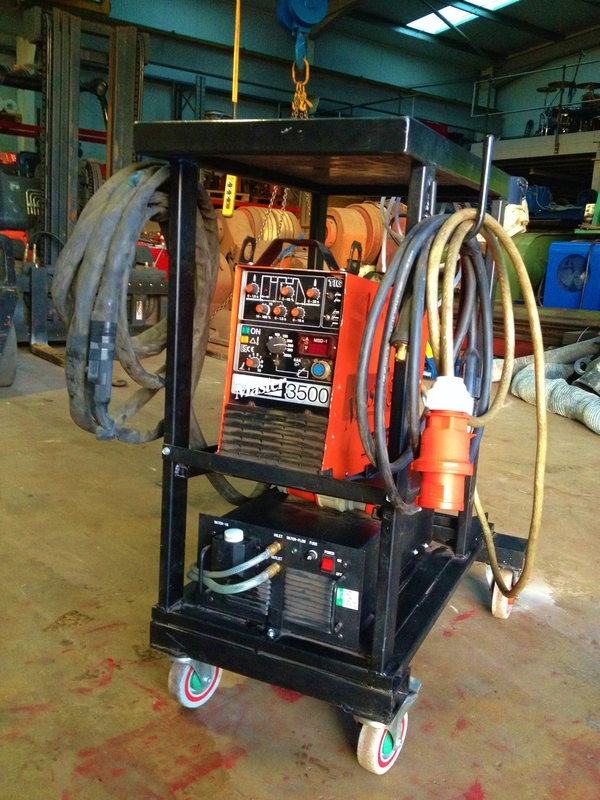 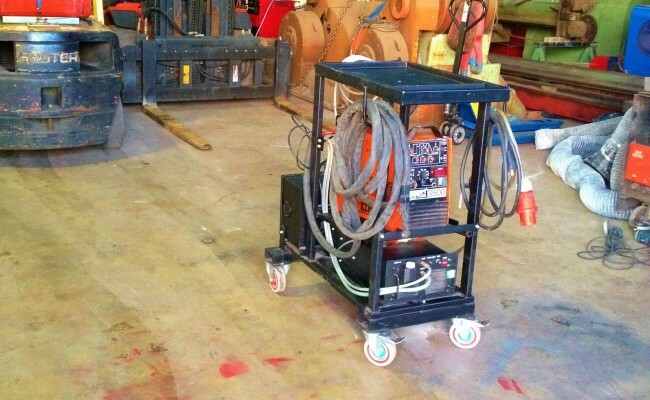 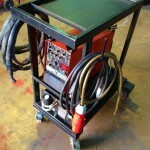 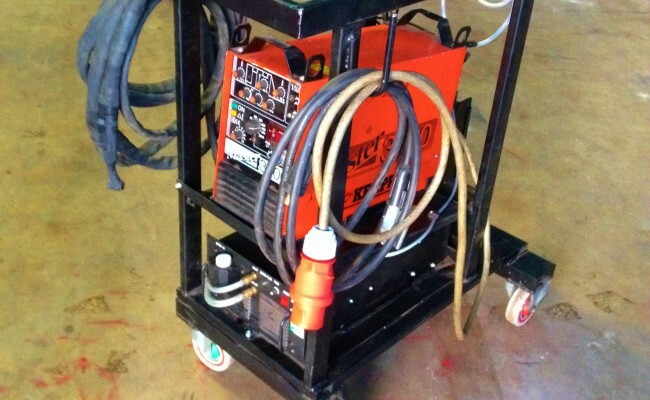 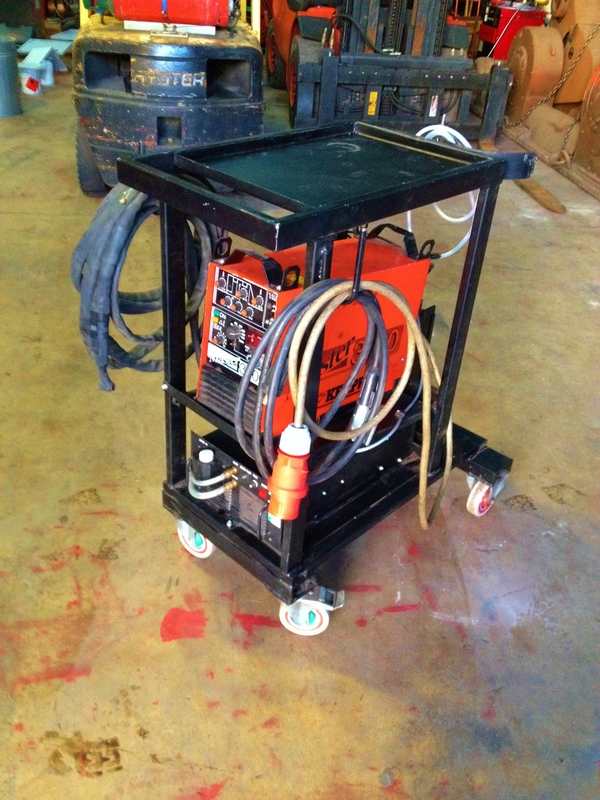 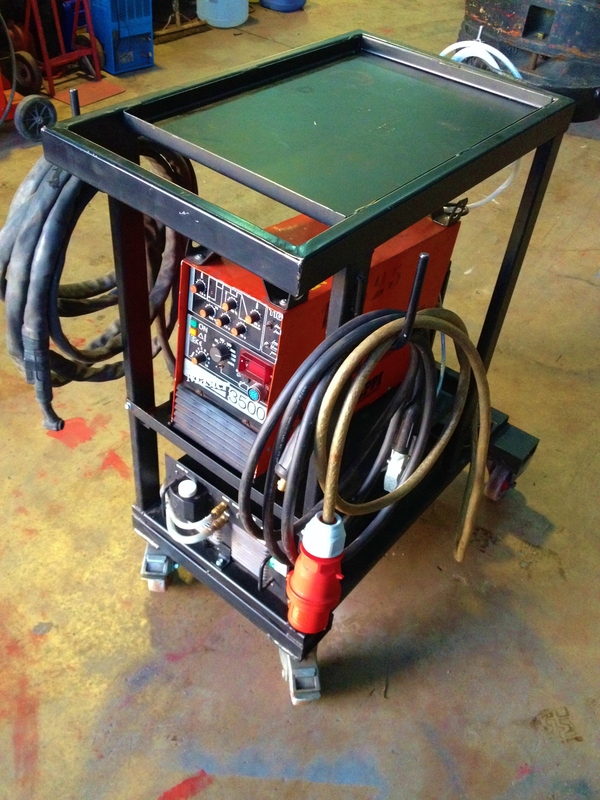 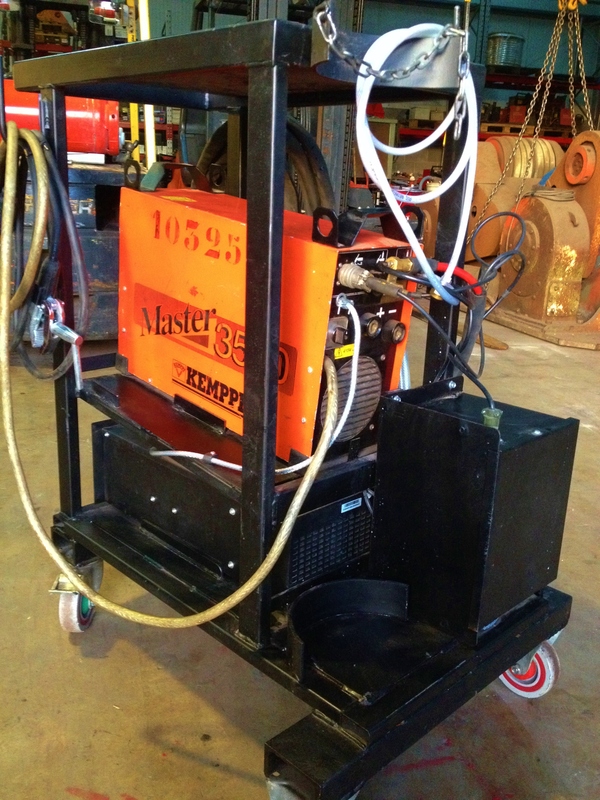 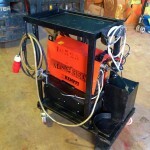 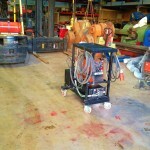 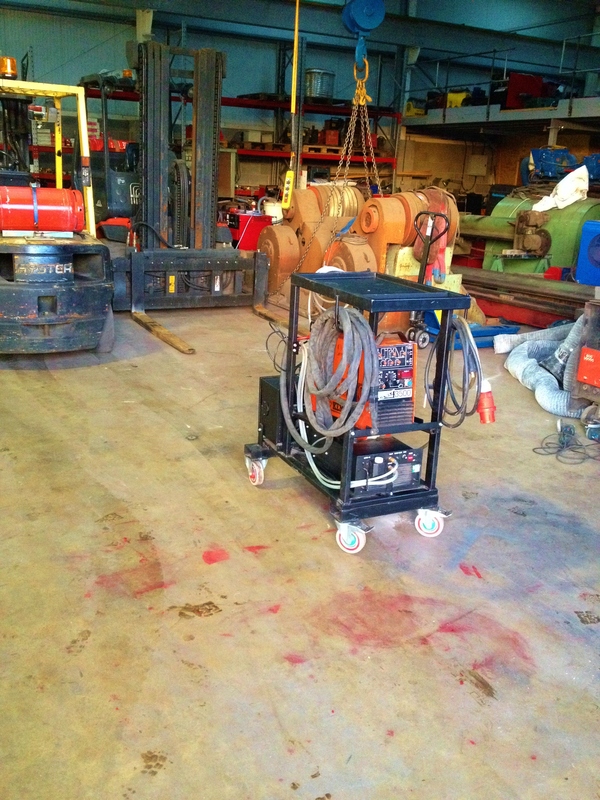 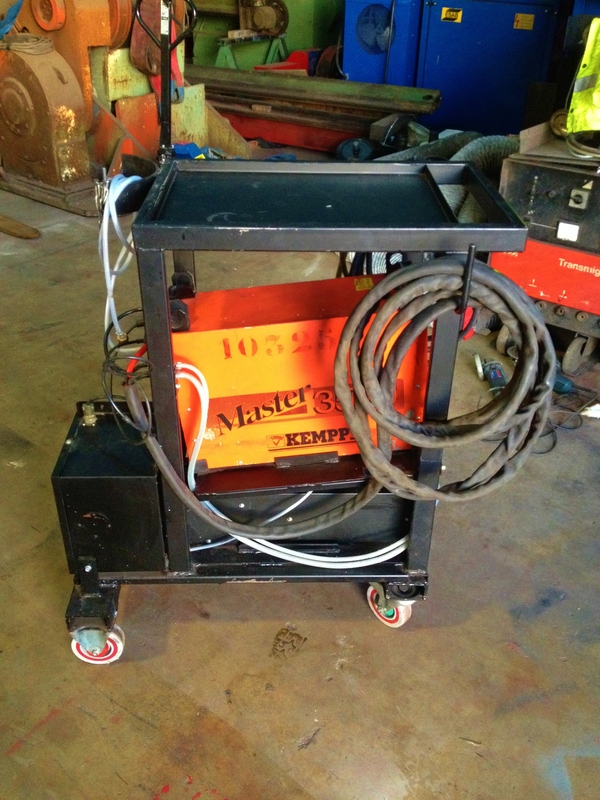 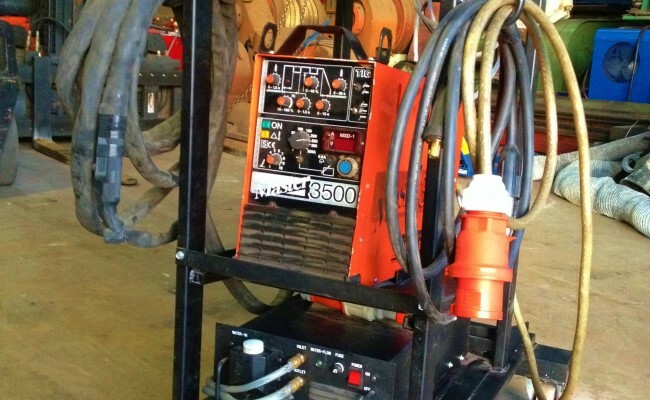 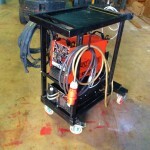 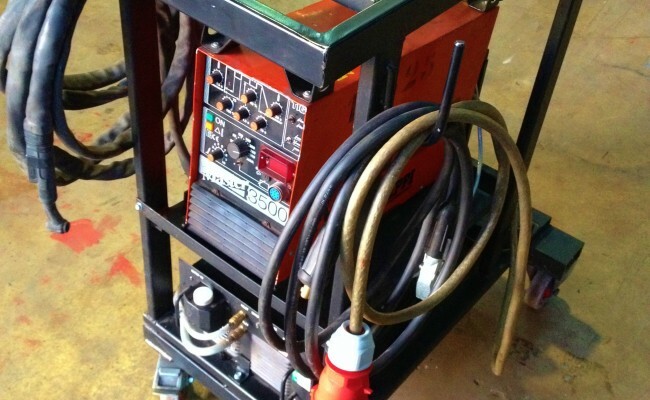 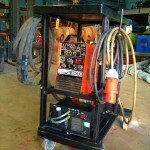 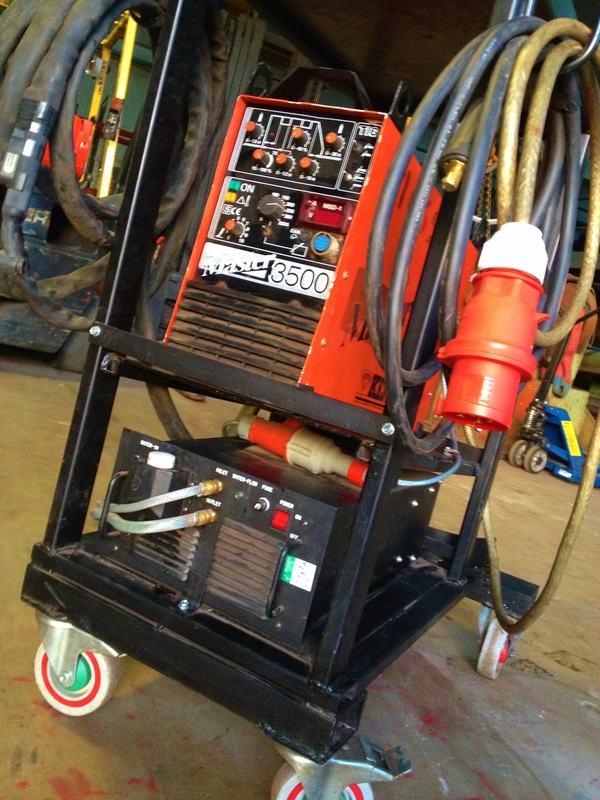 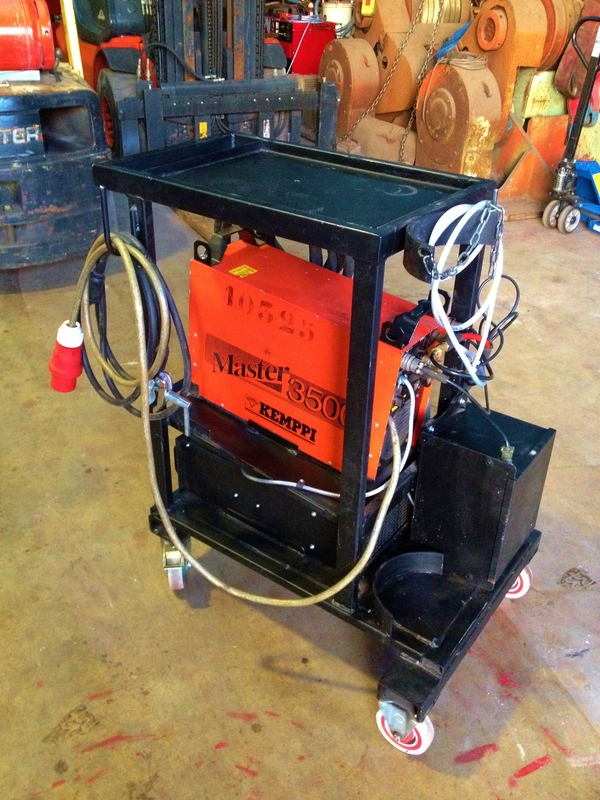 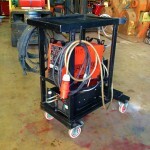 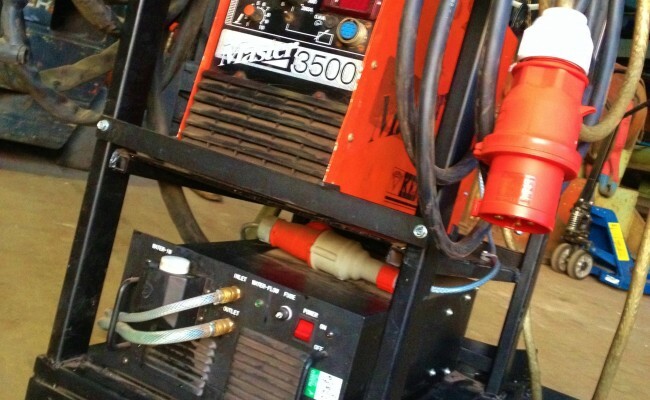 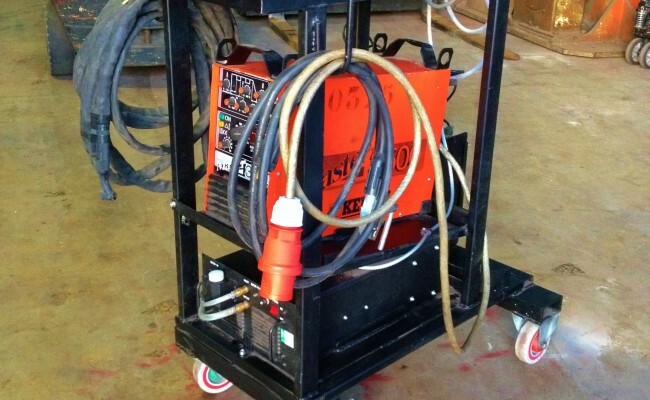 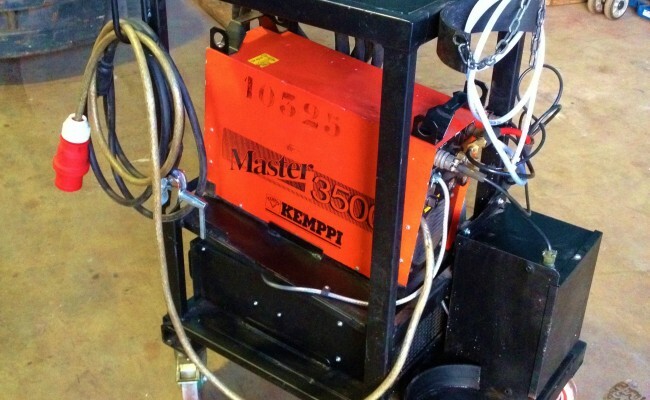 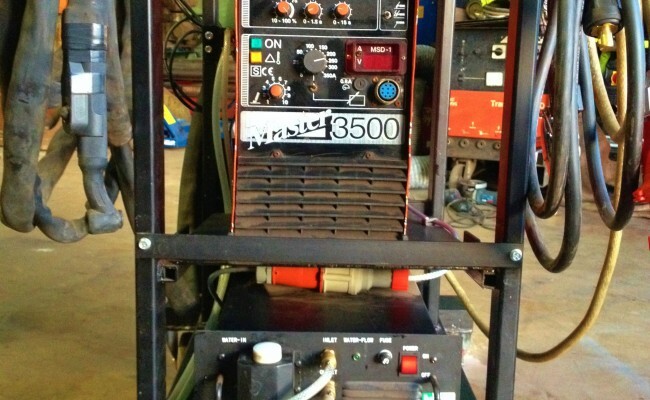 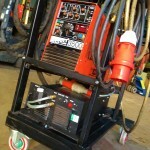 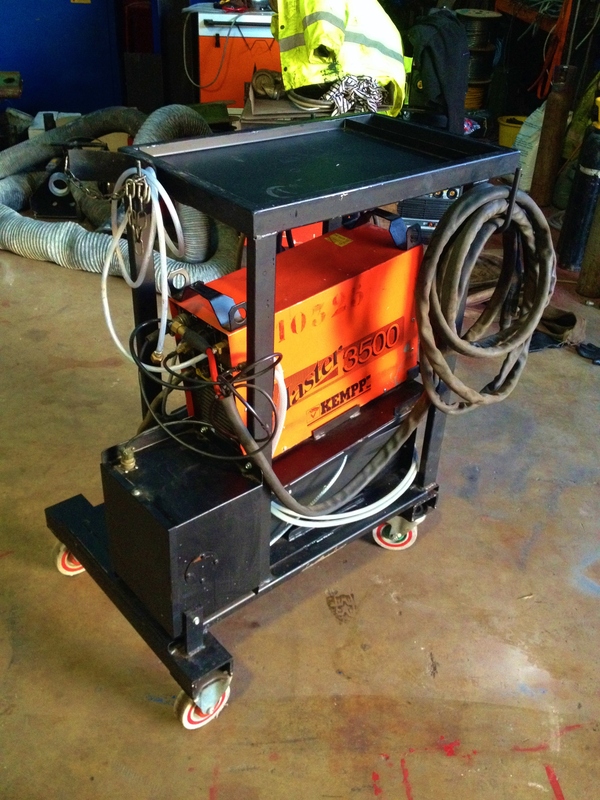 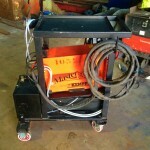 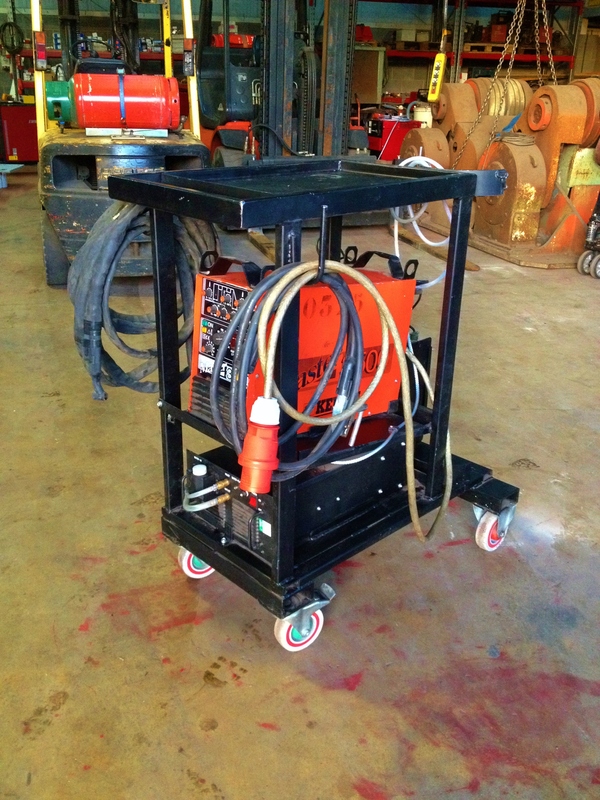 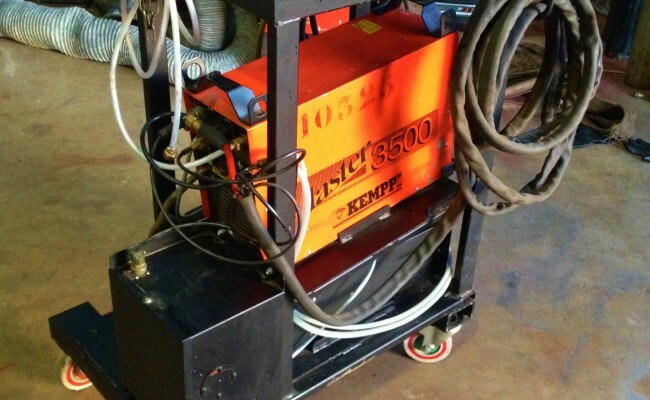 This hire TIG plant also comes with a trolley designed and fabricated by ourselves for maneuverability. 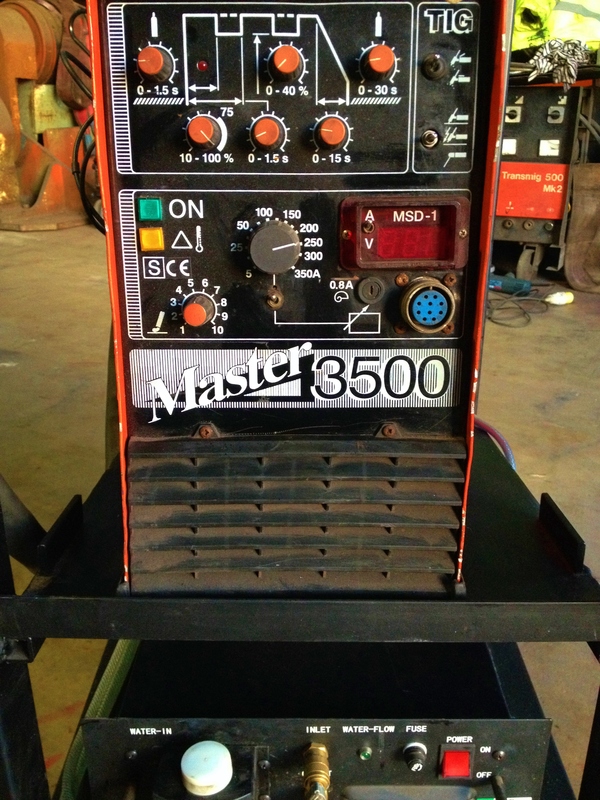 0 to 350 amps output. 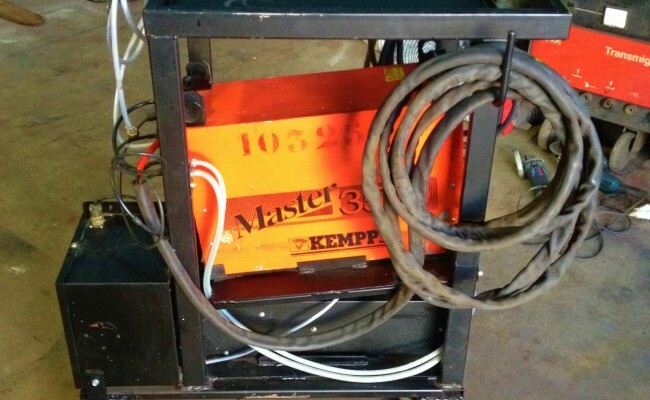 Pre & post gas timer. 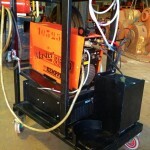 Slope up & slope down feature. 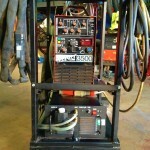 H.F. High Frequency or lift arc starting. 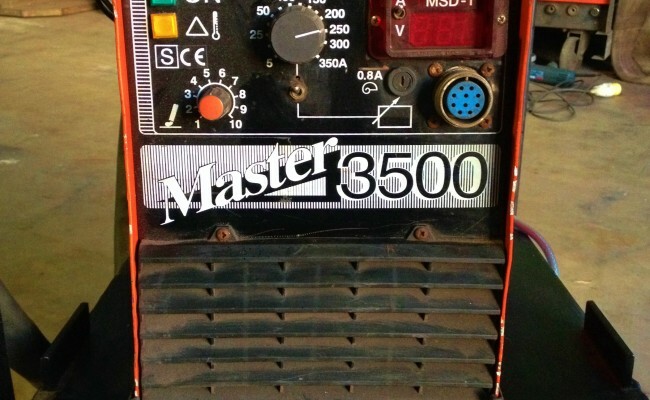 Digital volts & ammeter meter. 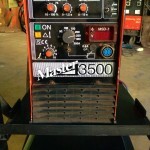 3 phase 415 volts input.